US-based start-up gold producer New Gold Recovery (NGR) has started gold production at its Black Rock Canyon mine, in Nevada, using a proprietary gold recovery process applying nanotechnology that recovers in excess of 90% of gold particles. 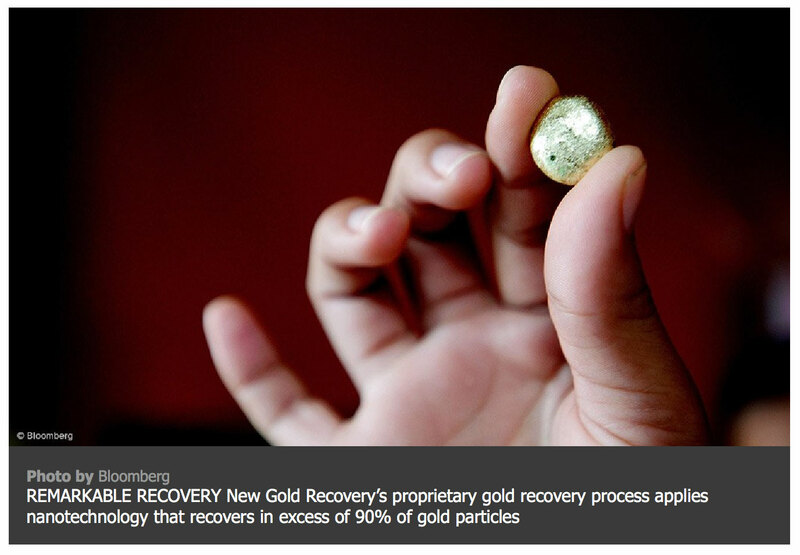 This is a remarkable improvement over traditional placer (alluvial or opencast mining) recovery rates, where more than 40% of gold is lost in the recovery process, says NGR CEO and inventor of the gold recovery process Anastasios Morfopoulos. NGR started production at the mine in August and expects to produce 1 000 oz/m, ramping up to 2 000 oz/m by 2017. In addition to gold sales, the company will generate revenue by offering its technology to other producers on a profit-sharing basis. Further, the company is searching for joint venture partners in South Africa and East Africa. In addition to focusing on gold recovery in placer mining, NGR is receiving tailings samples to see if recovery grades can be improved. Morfopoulos, who has been researching gold recovery processes for more than a decade, believes the nanotechnology process could rescue a bleeding gold sector. “The technology has been in the pilot phase for several years and the recovery rates have been validated by independent laboratories. Now we have started production on a relatively small scale, but we will ramp up rather quickly from here,” he says. While the system has been piloted extensively with placer mines in the US, Morfopoulos believes hard rock recoveries could also benefit from the technology, which is named Tas 3 (the 3 representing the number of system evolutions). The Tas 3 system is described as the first-ever green and ecofriendly placer mining technology for gold recovery. While the exact composition of the nanotechnology remains confidential, it is already attracting strong interest across North America. gold particles were recovered in pilot tests. Morfopoulos suggests that traditional placer miners lose almost half of their gold in the traditional recovery process, which relies on mills to separate the gold from the ore and then traps the liberated gold by means of gravity as it is washed down a sluice. However, as much as half of the gold – tiny particles that do not respond to gravity-based recovery – ends up in the tailings. “Until now, there has been no reliable way for placer miners to trap these particles,” Morfopoulos says. The nanotechnology is applied to a series of trays placed on a rack in a zigzag formation, trapping only precious metals as the concentrate flows over the tray formation. The dirt washes off, leaving up to 99% of the gold from the concentrate extracted. The Tas 3 prototype was verified and cross-checked by third-party inspector Bureau Veritas Group and metallurgical research laboratories Global Mineral Research. To establish a mining operation, NGR, through its wholly owned subsidiary, New Gold Nevada, acquired land in north-east Nevada, one of the world’s richest gold and silver producing regions with more than 50 active mines and annual production of 4.95-million troy ounces of gold and 10.94-million troy ounces of silver in 2014. NGR raised $5-million in a private placement and brought in hedge fund UniCore Capital as a 20% shareholder. This provided the company with sufficient capital to acquire the Black Rock Canyon Mine deposit, estimated to have $480-million worth of gold deposits lying no more than 90 ft below the surface, and to refurbish an old processing plant on the site.